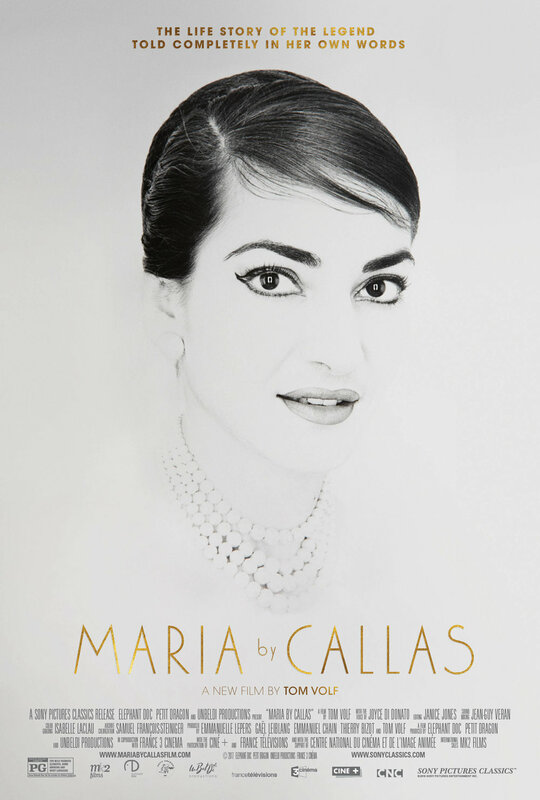 The new documentary MARIA BY CALLAS comes from first time director Tom Volf. The French filmmaker weaves together archival footage, private letters and other materials to create a portrait of a complicated artist. Volf is admittedly a Callas fan, and he’s crafted a beautiful love-letter of a film to her legacy. But in his effort to engage in deeper questions about Callas “the artist” and Callas “the woman”, he glosses over what I feel are some important details about the opera legend’s life. One of the most interesting aspects of the film was watching the way the press covered Callas during the height of her career. Reporters followed her everywhere she went and seemed intent on creating this perception that Callas was not only a diva, but a “difficult woman”. Those themes feel especially relevant in this moment of ME TOO and TIME’S UP as more attention is paid to the way women are treated. I give MARIA BY CALLAS two ** out four stars. The documentary is playing at select theaters nationwide. Click here for more information.